Tax assessor-collectors assess property for the purpose of taxation and collect taxes for the county and state, unless the responsibility is contracted out. Tax assessor-collectors are also agents of the Texas Department of Motor Vehicles. The job of the tax assessor-collector has changed over time with most of the evolution of duties centering on the combination or separation of assessing and collecting taxes. Originally, the two functions of assessing property and collecting taxes were separate. Under the Texas Constitution of 1836, the sheriff acted as tax collector, while the governing body of the county employed a separate assessor. Subsequent changes modified the duties and structure of the office. Some of these changes instructed other county offices to become the tax assessor and/or collector. A constitutional amendment in 1932 combined the office of assessor and collector to become the present office. Article VIII, Section 14 of the Texas Constitution states, “The qualified voters of each county shall elect an assessor-collector of taxes for the county, and this person will hold office for four years.” In counties under 10,000 in population, the sheriff acts as the assessor and collector of taxes unless the voters of the county approve the creation of a separate office of tax assessor-collector. Article VIII also states, “The tax assessor-collector shall perform all the duties with respect to assessing property for the purpose of taxation and of collecting taxes, as may be prescribed by the Legislature.” Unless the function has been contracted away as provided under legislation passed in 1979, a major responsibility of the office includes the assessment (calculation) and collection of property taxes, also referred to as ad valorem taxes, for the county. The office may also enter into contract with other entities to collect their jurisdictions’ taxes. These other entities may include schools, cities, and special districts. A reasonable fee may be levied by the tax assessor-collector for collecting taxes for another entity, but this fee cannot exceed the actual collection cost. The county tax assessor-collector is the designated voter registrar for Texas counties, unless the Commissioners Court has created the position of elections administrator to provide this function. Through mutual agreement, the tax assessor-collector may transfer this function to the county clerk, or agree to take the responsibility for elections in addition to voter registration. Voter registrar responsibilities include accepting applications for voter registration, issuing voter certificates, maintaining voter registration lists, verifying petitions for local option elections, and submitting required reports to the secretary of state’s office. As an agent of the DMV, the office of tax assessor-collector is responsible for the registration, titling, and title transfer of all motor vehicles and trailers in the county. State tax on all automobiles sold in the county is collected by the tax assessor-collector. Additionally, the county tax assessor-collector may be responsible for the collection of special fees imposed by the county and state on coin-operated vending machines and may act as an agent for the Parks and Wildlife Department to provide boat registration and titling services. County fees for these duties are set by statute. A county tax assessor-collector is personally liable for the loss of public funds in the custody of the tax assessor-collector’s office, unless a district court declares the loss is due to a reason other than negligence or misconduct. Therefore, tax assessor-collectors must be bonded with the county and the state. Before beginning to perform the duties of office, a person elected or appointed as county tax assessor-collector must give a bond for county taxes to the County Commissioners Court in an amount equal to 10 percent of the total amount of the preceding tax year’s county taxes, not to exceed $100,000. The bond for state taxes is payable to the governor and must equal 5 percent of the net state collections from motor vehicle sales and use taxes and motor vehicle registration fees in the county during the preceding year. Each bond may not be less than $2,500 or more than $100,000. The Commissioners Court of a county with a population of 1.5 million or more may set the bond for county taxes in an amount greater than $100,000. A county tax assessor-collector must successfully complete 20 hours of continuing education each year. The continuing education must include at least 10 hours of instruction on laws relating to the assessment and collection of property taxes for a county assessor-collector who assesses or collects property taxes. A county tax assessor-collector may carry forward from one 12-month period to the next up to 10 continuing education hours. In addition, a county tax assessor-collector must complete continuing education courses on ethics and on the constitutional and statutory duties of the county tax assessor-collector not later than the 90th day after the date on which the county assessor-collector first takes office. The 85th Texas Legislature passed Senate Bill 929, which provides for specific education mandates for the first year of an elected tax assessor-collector’s initial term of office. The mandate applies only to those who actively collect property taxes through their office. This one-time requirement of specific coursework will assure that newly elected officials have the education and training to enable them to correctly calculate property tax rates for the county and any other taxing jurisdiction they serve as well as have a good basic understanding of the property tax system and ethics that the office demands. HH – By Richard O. Avery, Ph.D., County Relations Officer, Texas Association of Counties, Former Director, V.G. Young Institute of County Government, Texas A&M AgriLife Extension Service, The Texas A&M University System. Brazos County Tax Assessor-Collector Kristeen Roe contributed to this article. Editor’s Note: On Aug. 28, the Liberty County Commissioners Court passed a resolution to establish a Veterans Treatment Court (VTC) program, as reported in our December 2018 issue. Spencer Walker, a combat veteran who has received services from a VTC, played a role in establishing the program. County Progress would like to thank Mr. Walker for sharing his story. Howdy from Houston! My name is Spencer Walker; I grew up in Jackson, Miss., and Sugar Land, Texas. My parents retired from MEDVAMC (Michael E. DeBakey VA Medical Center), with 53-plus years of service. My father is my personal hero, a decorated U.S. Air Force and Vietnam veteran and an Air Medal recipient who is buried at Houston National Cemetery. I am truly humbled by my military heritage which profoundly shaped my worldview of American Exceptionalism. My forefathers fought valiantly for freedom since our nation’s founding, including the Revolutionary, Mexican and Civil wars, and WWI and WWII, with a prominent judge, Purple Heart recipient, and state representative within their ranks. I am mighty honored to continue this legacy as the first U.S. Marine in direct bloodline and a young son to soon follow suit. I served in the Marine Corps from 1999-2003 as a counter battery radar operator. My primary mission was as follows: targeted acquisition of hostile indirect firing systems to initiate rapid response, precision-based counter-fire. I met my amazing bride while stationed at Camp Pendleton, Calif., and our handsome son was born shortly thereafter. I was deployed to the frontlines of Operation Iraqi Freedom with Regimental Combat Team 5 during the 2003 invasion. I was one of the first 100 Marines to cross the border (Line of Departure) into Iraq on March 19 and in the initial unit to arrive in Baghdad on April 9. My commendations include Combat Action Ribbon, Presidential Unit Citation, and Iraq Campaign Medal. We then moved to Huntsville, Texas, where our beautiful daughter was born. I earned a bachelor of science with highest honors (lone graduate) in criminal justice and geographic information systems from Sam Houston State University in May 2006. My senior thesis was G.I.S. Analysis of Global Aviation Hijacking & Bombing Incidents, 1931-2005. Upon graduation, I changed career paths from federal law enforcement to the oil and gas industry, working extensively in 3D seismic, pipelines, and carbon dioxide operations. I was professionally successful; however, my personal life was a train wreck, and I was spiritually bankrupt for many years. While I came home from Iraq in one piece, I had a heart without peace. I descended quickly into darkness, struggling 10-plus years with combat trauma and alcohol addiction. I had multiple stints in a VA psychiatric unit and county jail, and I experienced job loss and homelessness. My family was besieged to total ruins. We buried my uncle and father three weeks apart, and then my grandfather several months later. On May 3, 2014, a night of heavy drinking led to a gas station fight, an aggravated assault charge, and a 57-day lockup in the Harris County Jail. I remember lying in an orange jumpsuit, completely broken with all hope lost as I travelled the “Dark Night of the Soul.” I cried out for mercy, and a redemptive opportunity would radically transform life’s trajectory. The Harris County Veterans Treatment Court proved an incredibly challenging endeavor. Presiding Judge Marc Carter, 228th District Court (U.S. Army), pioneered statewide legislation in 2009 which authorized VTC programs in Texas. He now offered me this new beginning, a fresh start to secure personal liberty once again. After countless dockets and probation appointments, VA treatment became paramount to my recovery. Support from Wilcrest Baptist Church was also instrumental to my healing. Our pastor, Jonathan Williams, visited me while I was in psychiatric care at the county jail. My wife and I underwent marriage counseling twice, for more than a year each time. Above all, I was blessed beyond measure by a devoted wife, loving children, a praying mother, and a brother who held to me account. Pastors Dave (U.S. Navy, Vietnam, Purple Heart) and Matt Roever inspired me and empowered me to march forward. I graduated from the Harris County VTC on May 4, 2016, forever indebted, eternally grateful. I now work for MHA Houston as a VTC wellness coordinator for three Houston area programs, mentoring 100-plus combat veterans. My passion is to actively engage warriors and instill hope, which is precisely what countless others have done for me. The Liberty County Veterans Treatment Court came together from January 2017 to August 2018. Mr. Ken (USMC, Vietnam) and Mrs. Sandra Jolley linked me with Judge Marvin Powell, U.S. Army, Vietnam, Purple Heart, 14 months recovery at Brooke Army Medical Center (San Antonio). His storied career in law enforcement and time served on the bench as a judge have made him a definitive visionary and the catalyst who guided the court into existence; he will now serve as the court coordinator. Judge Mark Morefield, 75th District Court (U.S. Army, Vietnam) will preside over the new program. Mr. Mark Norris (MEDVAMC) and Mr. Matthew Poston (Liberty County attorney) are to be commended for tireless efforts. On Aug. 28, 2018, at 9:51 a.m., the Commissioners Court voted unanimously to establish the Liberty County VTC. “All things work together…,” Romans 8:28. God connects dots and moves mountains. Recovery takes root by embracing adversity. Post-traumatic growth is anchored alone by faith in Christ. On a personal note, I was recently ordained as a deacon at Wilcrest Baptist on Veterans Day 2018, the 100th anniversary, WWI armistice. I am pursuing a master of science in leadership from Belhaven University. I am a proud member of Marine Corps League #1295. This article is dedicated to American patriots, two men of impeccable character and integrity: VTC Judges Marc Carter and Mike Fields. With Liberty and Justice for All…God Bless & Semper Fidelis! Every so often, County Progress asks our distinguished Judges and Commissioners to allow us a glimpse into their public lives, giving us a fresh appreciation for the myriad of roles and responsibilities they shoulder every day. Our thanks to Refugio County Commissioner Ann Lopez for taking the time to visit with us. “The Greatest Generation!” What a wonderful term to describe my parents’ era: They loved their five daughters, their community, and the USA. My sisters and I absorbed the lessons they modeled. We knew all about “servant leadership” before it was defined. Mom belonged to the PTA and Dad to the Lions Club. My father served on the Woodsboro ISD School Board, and my mother walked the neighborhood streets soliciting funds for the American Red Cross and March of Dimes and taught religion education classes. They stressed education and God. While growing up, I learned about politics and business at my dad’s lumberyard, and I later practiced them at my mom’s bakery/restaurant. I loved Woodsboro High, and I enjoyed the mental challenges of Our Lady of the Lake University, Texas A&I University-Kingsville, and The University of Texas at Austin. In between getting my higher education degrees, I taught fifth grade, developed/taught a developmental reading program for Laredo College, was a research assistant in UT’s College of Education, and served as assistant to Commissioner Blandina “Bambi” Cardenas, U.S. Commission on Civil Rights. My doctorate helped me secure a position as dean of continuing education at Eastern New Mexico University-Roswell when colleges and universities were first encouraged to develop economic development training programs for business and industry. I returned to Texas as director of community colleges at the Texas Higher Education Coordinating Board, and I then served as the dean of arts and sciences at Del Mar College where I helped develop Corpus Christi Independent School District’s first early college program, Collegiate High School. Cardiel, Lorraine Lopez, Cindy Fernandez and Maxine Lopez. As I retired to care for my mother, I read that the incumbent County Commissioner would not seek re-election. My mother encouraged me to run for the office, so I did. I faced opponents each time I ran in the primaries. Had it not been for my sisters (Dianne, Cindy, and Maxine) who knocked on doors and walked the streets for me, and my sister, Lorraine, Refugio County Justice of the Peace, who encouraged me to keep going, the road would have been harder to travel. I am now in the middle of my third term, and everything I learned from my family and various local and state education positions I held, I practice as County Commissioner. A typical day for the precinct starts at 7 a.m. and ends at 3:30 p.m. The foreman and I meet between 7-7:15 a.m. to discuss the previous day’s accomplishments and the agenda for the day. Because my precinct is responsible for two county rental facilities, I make sure that they are clean, safe, and prepared to be rented out as soon as possible. I check roads to see whether the tire ruts created by oil or American Electric Power trucks have gotten any deeper, or whether ditches/roads are littered with paper goods, cans, or bottles. I also attend meetings. The precinct I represent encompasses two small cities; half is in Woodsboro, and half is in Refugio, with very little housing development and roads in between the communities. Thus, the number of miles I maintain as County Commissioner are few. To compensate, I engage in other activities, i.e. grant writing or representing the county at meetings. I represent my colleagues and the Judge on the Coastal Bend Council of Governments (COG), and serve as a member of its executive board and on COG committees. I am also the county-appointed member on the Refugio County Community Development Foundation (RCCDF). The RCCDF serves in an advising capacity on economic development matters for the county and municipalities. Morrison at the Texas Capitol. A typical day after a hurricane is very different from a normal period of time. It means being the representative from Refugio County at countless meetings during the day or evening held in Rockport, Port Aransas, Aransas Pass, Austwell, Bayside, Corpus Christi, Tivoli, Refugio, or Woodsboro. Many times, I felt I represented all of the residents of our county who were suffering because of damaged or lost homes, and I felt the need to learn about opportunities to help with their recovery. Those were very difficult times. I really did not know what to expect. Until I was elected, my world revolved around education. I did think there would be more in policymaking than there has been. I quickly learned that policy topics were rarely brought before the Commissioners Court. An occasion arose when I needed to review our county road policies and related standards, and I found that they were embedded in the minutes of Commissioners Court meetings! I also learned the important role of the Commissioners Court in ensuring that policies are not forgotten and are periodically scheduled for review as legislative changes occur. More importantly, I never expected that the Commissioners, Judge, and road hands would become such a close-knit family. I am blessed to work with the fair-minded, hard-working, and loyal crews of each precinct, especially mine. I face many challenges regularly in this position. There is always the research needed to be done, i.e., securing permits for the collection centers following Harvey or writing a report to the TCEQ on a gasoline spill. There is always the challenge of having to operate my precinct (similar needs, same work to be done as in the other larger precincts) without the operating capital needed to replace equipment and/or vehicles which keep breaking down as they age. The biggest challenge I faced was in 2017 dealing with the aftermath of Hurricane Harvey. My precinct workers, along with those in other precincts, helped clear debris off the roads, assisted in the unloading of goods flowing into the communities, etc. Our collection center was open every day from 7 a.m. until 6 p.m. for a month, then six days a week through March. A rural county with little population, Refugio County was the last county to have its needs addressed. Every day for one month, Judge Robert Blaschke asked the county agency heads for a solution to mesh residents with unmet needs to volunteers who came into the county wanting to help. A FEMA rep finally pulled me aside and said, “Go to Rockport. Refugio County needs a Volunteer Reception Center (VRC) like Rockport’s.” I paid Rockport a visit and came back enlightened. I modeled our VRC on Rockport’s, and it has helped draw attention to the county’s need for agencies with resources to help us recover. the Peace Lorraine Lopez, on Jan. 1, 2017. Commissioner Ann Lopez, Tax Assessor-Collector Ida Turner, and Commissioner David Vega. Commissioner Lopez oversees a seal coating project. Elementary School, Corpus Christi ISD. I love being a County Commissioner. I can be in the county courthouse, and someone I know or went to school with stops me in the hall to find out what is going on with the county or just to catch up on family! One of the main reasons I enjoy my job so much is that I get to put into practice all I ever learned from being a teacher and college administrator and while working for the state and a federal commissioner. I already knew a great deal about budgeting, hiring people, policymaking, working with legislators, etc. It was comforting to learn that the behavior rules in families and professions are all the same. You have to be nice. You have to know what is going on. You have to read, and you have to write, and you have to do research, even when you are already familiar with the topics. County Judges and Commissioners will have the opportunity to actively exercise their role as partner to the State of Texas as the 86th Texas Legislature opens its 140-day session on Jan. 8. The Texas Legislature meets in a regular session every two years, convening on the second Tuesday in January of every odd-numbered year. These biennial sessions are limited to 140 days. The governor is authorized to call additional special sessions as necessary, which cannot exceed 30 days. The 86th Texas Legislature is set to meet Jan. 8 through May 27. Texas legislators began pre-filing bills on Nov. 12, 2018, filing 428 bills on the first day alone. From left: TAC legislative liaison Rick Thompson, CJCAT general counsel Jim Allison, and Wichita County Judge Woody Gossom, then president of the CJCAT, make their way to the Capitol building to visit with Rep. Garnet Coleman during the 85th Legislative Session. Barely a week after taking their oaths of office, a slate of newly elected officials will join their veteran counterparts in exercising the county’s role as partner to the State of Texas. “In taking this oath comes the responsibility of not only upholding the laws of our great state, but also to help guide lawmakers in the process of creating new laws,” shared Anderson County Judge Robert Johnston, president of the County Judges and Commissioners Association of Texas (CJCAT) and chairman of the CJCAT Legislative Committee. Lawmakers will be asked to consider thousands of bills throughout the 86th Session, and the CJCAT will closely monitor all proceedings to champion and protect county government. As has been pointed out by lawmakers in the past, this Association and its Legislative Committee have a reputation for approaching every session of the Texas Legislature with resolve. For example, during the past few legislative sessions, local government officials and associations such as the CJCAT voiced spirited opposition to revenue caps. Consequently, multiple regular and special sessions adjourned without imposing these restrictions and cuts, due in large part to the heightened presence and significant voice of county officials and their supporters. If early indications ring true, County Judges and Commissioners will need to rally once more. For the first time, a proposed constitutional amendment to prohibit future unfunded mandates passed the House of Representatives last session, Allison added. “Whether the Senate will consider this proposal to limit the unfunded cost of state legislative actions remains to be seen,” he noted. As indicated by the recap of previous sessions below, members of Commissioners Court who become engaged in the legislative process can make a difference. “County Judges and Commissioners need to contact their state legislators before the start of the session to inform them of the effects of proposed legislation, especially revenue caps and unfunded mandates,” Allison urged. One educational tool available to Commissioners Court members is the slate of resolutions passed by the CJCAT at the annual conference in October 2018. These resolutions can be adapted for local consideration and submitted to legislators (see page ?). “However, there is no substitute for a personal visit, a phone call, or a letter from a county official,” Allison emphasized. Jim Allison offers testimony on House Bill 4117 relating to the creation of a county jail telemental health fund in April 2017. During its 2017 regular session, the 85th Texas Legislature enacted 1,211 bills and adopted nine joint resolutions after considering 6,631 measures filed. The Legislature enacted a further 12 bills during the special session held in the summer. Perhaps the best way to paint a picture of the last legislative session is to remember what several state lawmakers said both before and after the gavel fell. In October 2016 on the opening day of the CJCAT State Conference, then-Sen. Sylvia R. Garcia, a former Harris County Commissioner, issued words of caution to some 200 officials gathered in Galveston County’s Moody Gardens. Garcia, now a member of the U.S. Congress, told Judges and Commissioners that she “has never before seen” such a predisposition against local control among state lawmakers and urged the audience to organize, engage, and “make sure you are heard” during the 85th Legislative Session. Officials took Garcia’s message to heart, traveling by the dozens to the Capitol when called upon to testify against proposed revenue caps and other issues that would have a negative impact on counties. Members of Commissioners Court joined first responders and other city leaders for a press conference to explain how revenue caps could affect public safety and the ability to respond to disasters. County Judges and Commissioners drove hours and then waited hours – some staying well into the night – to make sure their voices were heard. Fast forward to the 2017 CJCAT Conference. While the 85th session was in the books and revenue caps were defeated, local officials and lawmakers who appreciate the value of local decision-making were still discussing the contentious nature of the session. Rep. Phil Stephenson and Sen. Juan “Chuy” Hinojosa, who each received the 2017 Legislative Award from the State Association for standing strong for counties, offered their perspective. During its 2015 regular session, the 84th Texas Legislature enacted 1,323 bills and adopted seven joint resolutions after considering 6,476 measures filed. As far as county government was concerned, the introduction of revenue caps and an early hearing date set a negative tone as some lawmakers seemed intent on restricting local government. However, members of Commissioners Courts quickly jumped in. “You packed the room, you got on the phones, and you sent faxes and emails,” Allison declared in a conference legislative recap. “With your work and the work of a great team in Austin, we escaped this session without revenue caps. Thanks to the county voice, a negative tone was not synonymous with a negative outcome; rather, the session was a success for counties in that caps were defeated and very few unfunded mandates passed, Allison summarized. In addition, during this session lawmakers did authorize additional funding for mental health, indigent defense, and courthouse preservation. TAC legislative liaison Rick Thompson joins Wichita County Judge Woody Gossom and CJCAT general counsel Jim Allison as they work the 85th Legislative Session. During its 2013 regular session, the 83rd Texas Legislature enacted 1,437 bills and adopted 10 joint resolutions after considering more than 6,061 measures filed. The Legislature also enacted three bills during the first called session, two bills during the second called session, and one bill during the third called session. As with every legislative session, the CJCAT came to Austin with the overall goal of playing defense. “No additional revenue caps, no additional appraisal caps, and the defeat of most unfunded mandates were important defensive accomplishments,” reported Allison after the session. However, the Association went on the offensive as well, making plays on mental health funding and transportation. “We had a win-win,” Allison declared. Lawmakers earmarked some $225 million to a transportation infrastructure fund via the 83rd Texas Legislature’s Senate Bill 1747. “I argued for this in Austin until I was blue in the face,” Fowler later told fellow officials at an educational conference. In a second offensive win for the CJCAT, legislators addressed mental health via House Bill 3793. Witnesses may sign in and register support or opposition to a bill using Senate kiosks located in the Capitol Extension hallway. During its 2011 regular session, the 82nd Texas Legislature enacted 1,379 bills and adopted 11 joint resolutions after considering more than 6,000 measures filed. The Legislature also enacted eight bills during the first called session. What a difference two years makes. While the 83rd Legislature would open with a budget surplus, a daunting deficit loomed over the 82nd. Experts predicted the 2011 Legislative Session would be defined by two issues: redistricting and the state budget deficit. They were right. “These two issues will be the driving force and determining factor in all other issues,” maintained then-CJCAT President Don R. Allred, Oldham County Judge. The 82nd Legislative Session presented a particular challenge, with lawmakers seeking deep cuts and targeting dedicated funding. For example, proposed legislation originally zeroed out the Lateral Road Fund, meaning an elimination of $14.6 million, or 100 percent of the portion of the gasoline tax dedicated to county roads by the Transportation Code. Lawmakers also put forth elimination of Overweight Truck Permit Fees valued at $15 million; the fees from these TxDOT permits are dedicated to counties for partial reimbursement for overweight truck road damage. County Judges and County Commissioners tag-teamed one another, accompanying CJCAT officers and Allison to the Capitol to present a united message. Facing cut after cut, local elected officials showed up both literally and figuratively, sending emails and faxes, making phone calls, and putting in personal appearances to safeguard their counties, their communities, and their taxpayers. Officials sent a firm and consistent message: Infrastructure is critical. Roads carry our emergency vehicles, school buses, employers, and employees. When it comes to roads, we are in maintenance-mode, using every penny to support and repair an outdated and over-burdened transportation system. Officials repeated the message, broken-record style; when all was said and done, both funds were fully restored. Comfortable shoes required! Tracking down lawmakers to offer the county perspective on legislation means a great deal of brisk walking. As evidenced by these legislative recaps, involvement in the legislative process is crucial, and never more so than when there is significant turnover. The Texas Senate is composed of 31 members and the Texas House includes 150 members. There are 29 new members in the House of Representatives, and 27 of those members are freshmen, according to the office of the chief clerk of the House; the 86th Legislature will include six brand new senators, according to the office of the secretary of the Senate. “It is our responsibility to seek out legislators – our senior partners in the state-county partnership – and educate them on our needs and responsibilities,” Allison told officials throughout last year’s CJCAT educational conference classes. “Each of us is a vital link in having a successful year with the Legislature,” declared Wichita County Judge Woodrow W. “Woody” Gossom Jr., past president of the CJCAT and former chairman of the CJCAT Legislative Committee. Resolutions from the CJCAT and individual Commissioners Courts, letters, emails, telephone calls, and personal contacts are the most effective methods of informing legislators and their staff on important county issues, Allison maintained. If your senator or representative is new, perhaps a simple review of the county and state dynamic would be helpful. While some Senate committees offer electronic registration, others still use paper format. As a part of the State of Texas, the structures and duties of county government are set forth in the Texas Constitution. As an arm of the State, Texas counties can only do those actions that are specifically authorized by Texas law. Equally important, Texas counties must do those actions that are required by law, such as maintain and operate the court and jail system, conduct elections, and provide for public safety. County Revenue – The Property Tax The taxpayer funds the majority of county government via the property tax, or ad valorem tax, which is the largest revenue source for Texas counties. About half of Texas’ 254 counties also receive funding from a local county sales tax, which when adopted allowed them to lower their property tax rate. The county cannot levy an ad valorem tax in excess of 80 cents per $100 of property value for the county’s general fund, permanent improvement fund, road and bridge fund, and jury fund, combined. On top of the 80 cents, the county is authorized to levy a special road and bridge tax not to exceed 15 cents, and a farm-to-market/flood control tax not to exceed 30 cents; however, these taxes are subject to voter approval and must be credited to separate funds. The 80-cent general ad valorem tax and the 15-cent special road and bridge tax are authorized by Article VIII, Section 9, Texas Constitution. The 30-cent farm-to-market/flood control tax is authorized by Article VIII, Section 1-a, Texas Constitution. Counties are also authorized by several statutes to levy certain special purpose taxes. However, these taxes when combined with the general fund tax may not total more than 80 cents per $100 assessed valuation. Property tax rates across the state are as varied as the counties themselves, with some counties hovering in the 20- to 30-cent range, and others approaching or reaching the maximum. Jim Allison and Judge Woody Gossom visit with Rep. DeWayne Burns to offer support for Burns’ House Joint Resolution 73 proposing a constitutional amendment to prohibit unfunded mandates. As part of their commitment to the local community, Texas county governments traditionally seek to provide more than mandatory services. County governments also provide funding for authorized discretionary or optional services, such as parks, community centers, libraries, senior centers, emergency medical and family services, and county fairs. Funds also may be used to support tax increment reinvestment zones, certain non-profits, and other special programs that enhance the quality of individual lives and the community as a whole. When all is said and done, the development of the county budget is by nature a rigorous process that requires thoughtful decisions and tough choices. Counties are limited to property taxes as their main revenue source. Taxes, for the most part, are determined by mandates put on the county by the Texas Legislature. If the state would fund the laws that they adopt, then property taxes could be more closely tied to local services. The CJCAT leadership is poised and prepared to address legislation that could further impact the ability of Commissioners Courts to fulfill state mandates and provide other needed services. “As county-related bills are introduced, do your best to determine how these bills will impact you on the local level,” Allison urged. As you communicate with lawmakers, be specific. Check your facts and figures, and help the state understand that what happens in Austin doesn’t stay in Austin. Some 265-plus new County Judges and County Commissioners joined Commissioners Courts across the Lone Star State in January and are quickly learning the requirements and expectations of their office: Get educated. Do more with less. Make a difference. Serve. Improve communities. With the New Year barely behind us, perhaps many officials, whether new or seasoned, are still fine-tuning their 2019 resolutions; when it comes to Commissioners Court, the list practically creates itself. Provide local support for state agencies such as the Texas Department of State Health Services, Department of Public Safety, Texas Parks & Wildlife, and the Alcoholic Beverage Commission. During a conference presentation on the roles and responsibilities of the County Commissioner, Bell County Commissioner Tim Brown highlighted the complex nature of the job. Commissioners Courts do not live in a democracy. Rather, county government is actually an agency of the state, and everything Commissioners Courts do is rooted in state law. A college professor could attempt to teach a college class on the applicable body of law and not completely cover it. In addition, these laws pertaining to the Commissioners Court’s authority can be redundant and confusing. In his presentation on “County Expenditures and Services,” Denton County Auditor James Wells wrote, “…Texas counties have long operated under the idea that their primary purpose is to provide services to the citizens. 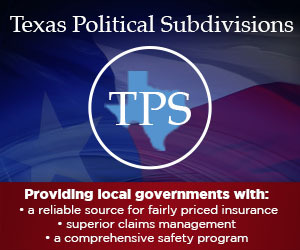 All actions of county government and all expenditures of county funds are connected to the goal of providing services to the citizens.” In the majority of Texas counties this means going beyond the mandatory services and expanding into “discretionary” services, such as parks, community centers, libraries, senior centers, and emergency medical and family services – those special functions that enhance the quality of individual lives and the community as a whole. The Texas Constitution and statutes assign roads as a county responsibility, confirmed Jim Allison, general counsel to the County Judges and Commissioners Association of Texas (CJCAT). However, the funding level is discretionary with the Commissioners Court. When it comes to prioritizing funding, the county road system has risen to the top of the list in Anderson County, shared County Judge Robert Johnston, president of the CJCAT. When working on the 2016 county budget, Johnston noted the immediate need for a long-term plan to address the county road system. Johnston broached the topic of a bond issue to fund road and bridge initiatives, and then he allowed time for the idea to sink in. At the next budget workshop, the decision was made to move forward, and on Nov. 8, 2016, Anderson County voters passed a $20 million bond issue dedicated to county roads and bridges. Many of the roads in Anderson County have not been reworked from the ground up in the last 25 to 30 years, the Judge specified. The Commissioners Court hopes to repair more than 350 miles of the county’s 1,000-mile road system. “With the county keeping our roads in top shape, it will bring an economic benefit to Anderson County through reduced repairs to vehicles traveling our roads and hopefully increased property values,” Johnston offered. The county has completed 159 miles of road repair in the first two years of the project, Johnston reported. What goals and priorities have you set for your county? Issues such as infrastructure needs are addressed at meetings of the Commissioners Court. What about a goal to improve the effectiveness of your meetings? The Opinion refers to Sections 81.005 and 81.006 of the Local Government Code which address the time, location, and quorum requirements of Commissioners Court meetings. Legal requirements aside, some counties have decided that it is in their best interest to formally adopt rules of procedure, conduct, and decorum for meetings of the Commissioners Court. These can be helpful when correcting common misconceptions of the public. For instance, people often think the Commissioners Court meeting is a public hearing. The public is allowed to come and watch but does not have the automatic authority to speak. However, counties may allow members of the public to appear before the court, if the county so chooses, in which case a set of procedures governing public participation is advisable. Trinity County adopted such procedures regarding public participation. For example, those who make an appearance are allowed five minutes and must guard their language and manner of speaking. Another misconception some people have is that they can call the county office and have something put on the agenda, said recently retired Bell County Judge Jon Burrows, who led Commissioners Court meetings for 20 years. “This sometimes occurs when someone has an issue with another elected official and wants to air it in court,” Burrows explained. Only members of Commissioners Court can place an item on the agenda. Issues such as public participation and the meeting agenda are addressed in a model set of rules of procedure, conduct, and decorum for meetings of the County Commissioners Court recommended by Allison. The Texas Constitution spells out the education requirements for members of Commissioners Court. What better time than now to set your educational calendar? Per Government Code Section 74.025, County Judges are required to earn 30 credit hours during their first year of office, and 16 credit hours for each 12-month reporting period following the first year in office. 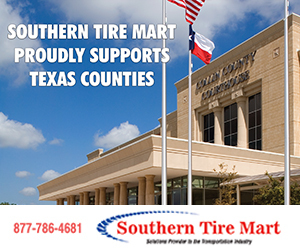 For additional information, including exemptions, see http://www.txcourts.gov/media/253241/rulesofjudedu112513.pdf. Per Local Government Code Section 81.0025, County Commissioners must earn 16 hours for each 12-month period in office; eight surplus hours may be carried from one 12-month period to the next. Planning is well underway for the 2019 CJCAT region and state conferences, with specific details available on our County Calendar, Page? The conference agendas are dedicated to both the mandated responsibilities of the Commissioners Court and the discretionary duties Commissioners Courts endeavor to provide. Earning your Commissioners Court Advanced Curriculum certification is a worthy resolution that has already been achieved by over 500 officials. Commissioners Court Advanced Curriculum (CCAC) is a comprehensive educational program designed specifically for members of the Commissioners Court. CCAC was adopted by the County Judges and Commissioners Association of Texas in 1992 to provide curriculum for an advanced study in county government. The program is continually updated, as foundational information provided in the original program is merged with material necessitated by legislative changes and the new and varied challenges faced by a rapidly growing state. The development of CCAC is a combined effort of the CJCAT, V.G. Young Institute of County Government, a part of Texas A&M AgriLife Extension Service, and the Texas Association of Counties. Phase I Orientation courses currently are offered at the LBJ School of Public Affairs Seminar for Newly Elected County Judges and Commissioners, which is conducted in Austin every January following an election year. Attendance at this seminar has traditionally been limited and restricted to new Judges and Commissioners. Since it is not feasible to require County Judges and Commissioners to retroactively attend the LBJ Orientation Seminar, County Judges and Commissioners who assumed office prior to Jan. 1, 1995, are permitted to substitute 16 hours of other approved instruction for the orientation course. Phase II County Government Basics includes instruction concerning the duties and responsibilities of all county officers and departments. Phase III includes advanced instruction in the functions of county government. These courses are offered at the annual County Judges and Commissioners Association of Texas regional and state conferences and the annual V.G. Young Institute of County Government School for County Commissioners Courts. Every Texas County is a member of the County Judges and Commissioners Association of Texas. The CJCAT is divided into three regional associations, with several subgroups within the regional organizations. The North & East Texas County Judges and Commissioners Association is comprised of 74 counties. The West Texas County Judges and Commissioners Association serves 118 counties. The Deep East Texas County Commissioners and County Judges Association is a subgroup of North & East Texas, made up of 15 counties from Far East Texas. On the opposite side of the state, the Far West Texas County Judges and Commissioners Association represents the western-most counties, with a total membership of 36. Also a part of the West Texas group, the Panhandle County Judges and Commissioners Association claims 34 member counties. Each Association, from the State Association down to the subregions, has elected officers. Most have committees that conduct important Association business, including the development and presentation of resolutions, discussion of conference sites, nomination of future officers, and selection of scholarship recipients.